Israel and the U.S. coordinated intelligence and military activities leading up to Israel’s seizure of KLOS C laden with a cache of advanced heavy rockets allegedly headed to Gaza from Iran, the U.S. State Department said Wednesday. 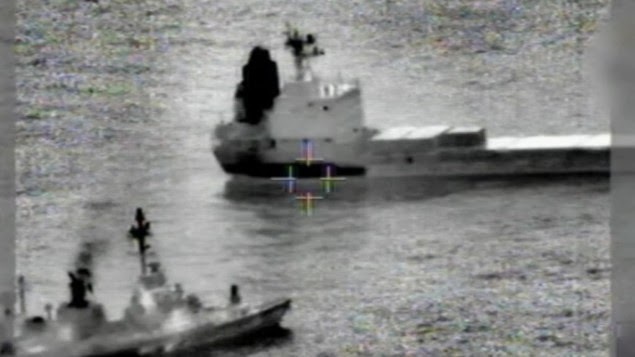 “Soon after becoming aware of the imminent movement of the suspected vessel, the White House directed the Department of Defense to monitor the vessel and to develop concepts of operation for a range of options in order to be prepared to take unilateral steps if necessary,” State Department spokesperson Jen Psaki said in a press briefing Wednesday. Iran and Hamas have denied the report. Iran’s Quds Force wanted to supply the Palestinians with heavy rockets, capable of hitting any point in Israel, a “game changer,” as IDF puts it. Quds Force does not want to ship Iranian missiles to Gaza. The action would have violated UN Security Council resolutions on the ban of exports of weapons by Iran, and would have run counter to the country’s new foreign policy of lessening tensions in the region. Iran did not also want to re-export other countries’ missiles for the same reasons. The Quds Force puts an elaborate plan in action. It ships Syrian missiles from Damascus by cargo planes to Tehran, passing Iraqi airspace. The missiles are then shipped to the Persian Gulf port of Bandar Abbas. They are reportedly loaded onto cargo ship KLOS C, which was in the port to load Iranian cement destined for Sudan. The Israelis and Americans say they were monitoring the actions from the very beginning. 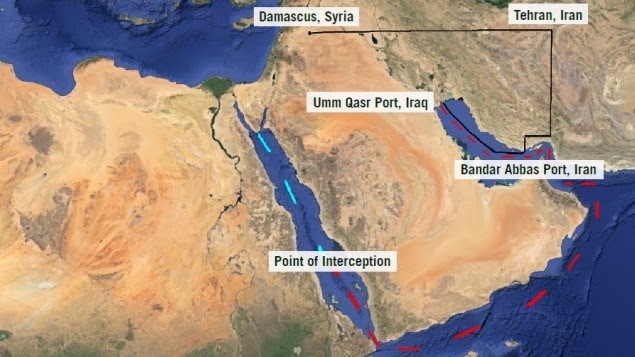 The ship, reportedly carrying the boxes of missiles hidden under sacks of cement, leaves Bandar Abbas and stops at the Iraqi port of Umm Qasr, loading more cargo in what IDF describes as a move by Iranians to obscure their track. The ship is intercepted early this morning by a unit of Israeli Special Forces, the elite naval commandos known as Shayetet 13. It is easy to prove or refute the facts about KLOS C movements, as maritime monitoring organizations register and update all cargo ships’ whereabouts on continual basis; records that are public. So we should be able to say for sure if the ship was in Bandar Abbas, for how long, and where did it go after that, the Iraqi port? If the existence of hidden rockets onboard the ship were true, it would make it unlikely that they were loaded onto the ship by the Iraqis. And if all this reads like a spy screenplay, it’s because it mimics one!